You are here: Home / Archives for Occupy Wall St. 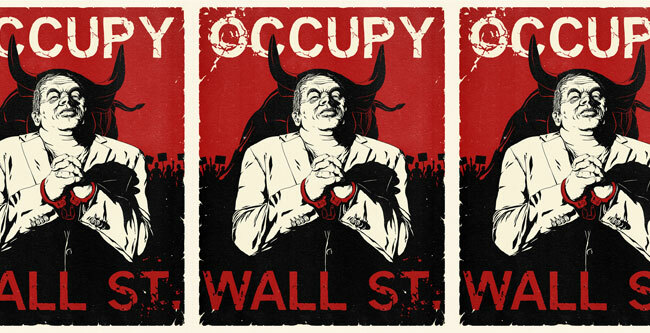 The Occupy Wall Street movement, now in its second month, is a protest force of nature. Unions, progressive organizations, community organizers, even big ‘D’ Democrats are coming out in support. If your nonprofit or political organization hasn’t come out with a public position on the #occupy movement, maybe you should check for a pulse. But never mind our organizational homes. As individuals we can jump right in without further ado. And what better way than with our skill sets as digital strategists, online organizers, social media gurus, and branding experts? Unfortunately, it’s not that easy. Joining the movement can be a challenge. Existing systems are designed with full time occupiers in mind, not volunteers with an hour, a day, or a specific task in mind. So here’s a guide, by a digital strategist, for digital strategists. If I’ve missed some useful tips, add them below. This description is based on the Wall St. crowd, but my understanding is that others are following similar models. While all major decisions are made by General Assemblies, most of the activists, including full- and part-timers, are part of Working Groups. Working Groups might be meeting more than once a week. Those meetings might not be efficient or accessible to newcomers. Still you’ll want to join one or more that make sense for your interests, and start digging in to any documents they’ve posted online and listening to the conversation on their listserv. Finding WG’s is easy for the Wall Street folks, might be harder for other cities. There is an effort to standardize names of WG’s across occupation. Here in New York, we have an Internet Working Group (IWG) and a Free/Libre/Open Source Working Group (FLO). The former has mostly worked on developing the main website for internal coordination, www.nycga.net. This site will continue to evolve in ways that serve specific working groups, and developer help is much appreciated. The FLO folks are promoting ‘open sourcism’ as an embodiment of the true principles of the #occupy movement. They also work on the tech infrastructure: hosting, servers, LDAP, a future CRM, wiki and more. The vision is not just to assist #OWS with tech solutions, but to create replicable, robust and secure systems available for all occupations, in the U.S. and around the world. They also welcome your help. A number of core team members are part of both WG’s. Unfortunately, it’s been hard for the IWG and the FLO peeps to incorporate new people and new ideas. New ideas, even good ones, represent a challenge because of the pressure of uncompleted, previously agreed upon tasks. Some of the best work done by techies in support of the movement is being carried out by free agents (www.occupytogether.org) and outside/inside coalitions (www.occupytheboardroom.org) that don’t even try to interface with formal working groups. That said, a corner has been turned, and there are now systems in place to make it easier to onboard new volunteers – and even new ideas. That said, as an online organizer I’ve noticed that the IWG and FLO teams are full of web developers, sysadmins and coders. Not small dollar fundraisers, CRM experts, digital marketers and solutions consultants. That crowd is likely to wonder where the official public facing website is, or why no one seems to be taking advantage of SalsaLabs generous offer of free services. (Or the offer of a certain text messaging vendor….) As of this writing, no one seems to have the ability to send mass emails outside of a Googlegroup or Riseup listserv. There are tech savvy organizers around (I’m refraining from mentioning names, but you’ve heard of them or their firms/organizations!) They seem to be attracted to the top level strategy questions involving press, media, and tactics for nonviolent direct action planning. 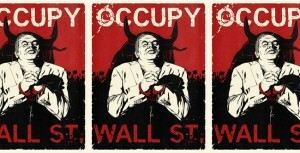 I’ve also heard an argument firmly against the use of email list based organizing by #OccupyWallStreet. Who would write those emails? What messages could ‘the movement’ agree on, given the anti-hierarchical bias and refusal to issue specific demands? While not all the organizers are young, or inexperienced, the vast majority associate CRM enabled organizing with groups like MoveOn or the Obama campaign. Liberals tainted by their focus on electoral or mainstream politics. Many associate the tools with top-down organizing, the antithesis of the General Assembly process.Personally, I think that position is incorrect. The ‘movement’ is using CRM all the time, as then they raised money on Kickstarter or chose Googlegroups as the primary listserv tool. They just aren’t using their own CRM, or taking advantage of all the possibilities. An emerging area where expertise is needed is in technical strategy more generally. For example: the accounting team was overwhelmed by the needs for trasparency and basic bookkeeping. An expert in nonprofit administration have been able to help with software suggestions. The Outreach Working Group is engaged in marketing, to be sure, but they aren’t far along in developing their marketing strategy. Given limited resources, which communications should be directed at which groups for the most immediate benefit? Great questions. The bottom line is, you don’t need to be physically present to contribute important online organizing skills to the movement. And you don’t have to start something on your own. If you’d like to understand more of what’s going on, feel free to reach out to me – I’m easy to find. Filed Under: Uncategorized Tagged With: Occupy Wall St.
It’s 5pm and I just finished setting up my table at Zuccotti Park. I’ve got flyers covering different kinds of communication skills, a collection of reference books, my laptop, mobile broadband, and I’m ready to go. 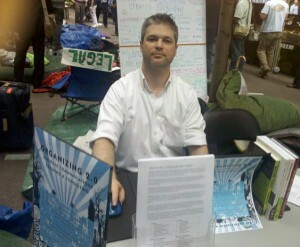 My goal is to offer training and consulting help to whoever can use it to advance the Occupy Wall Street movement. I’ll update my list of reference books when I get a chance – there’s people asking my questions here. But don’t think I ‘m just arrogantly giving out my version of ‘what is to be done.’ Folks are sharing things with me as well. Terry Holmes for example, suggested that someone create a list of Fox News advertisers for boycott purposes. Hrm. Why not? Someone else just came by and asked for a manual for starting an occupation in a new city. Does one exist already? Filed Under: The Blog Tagged With: Occupy Wall St.
Want to understand the difference between ‘organizing’ and the Occupy Wall Street protesters? Go watch the new film Moneyball, based on the 2003 book of the same name. For the last seven or so years, I’ve been immersed in the world of ‘new organizing’ which lies somewhere between ‘new media’ and ‘online organizing.’ Where Moneyball pits baseball traditionalists against soulless number-crunchers, new organizing pits the integrated use of new communication and database technologies against those overly committed to meatspace technology: talking to people in person. Folks like myself, whether freelance or staff, function at times almost like secret agent consultants. We know we have something valuable to offer, but with a few exceptions much of our work is devoted to proving already established facts to slow moving organizations and overly confident staff. How interesting then to observe that our skill sets as digital strategists or communication specialists are so undervalued by the Wall St. occupationistas as to make it impossible for many of us to connect within a movement ecosystem. We want to work them; they aren’t sure they want to work with us. Given the super loose/ultra democratic structure, it’s really hard to work with them. Part of my experience with this movement began six weeks or so beforehand, when I came to what was announced as a planning meeting by the bull statue in lower Broadway. The first two hours was dominated by the Workers World Party, an obnoxious tribe of newspaper sellers. The second two hours were a dry run for the general assembly process of sitting in a large circle and slowly building consensus. I joined a working group, wrote out my name/email address on some lists, gave out some business cards to folks I know were early movers and shakers, and basically said: I like this and I’m interested in helping. No one ever sent me an email. While folks in my line of work are very interested in things like list building, CRM databases that handle email lists. I kept wanting to ask ‘who is in charge?’ or even ‘who is in charge of communications strategy’ or perhaps ‘is there a designated accountable person for anything at all?’ Later, when a friend who is involved asked for my help, my response was hard to say out loud. While I wanted to help ‘Occupy Wall Street’ it felt extremely alienating to see such a lack of organization. Organizing skills are like a secret bat signal to wider circles of committed activists; if they seem to exist, folks show up; when they don’t, folks stay home. And that’s the Moneyball connection. The occupationistas are protest traditionalists. For them, and this is in keeping with the principles of the Temporary Autonomous Zone and other pro-Situ ideas, the moment at which someone transitions from everyday life to Wall Street Occupation life is pregnant with possibility. Focus on creating that moment for yourself and as many of those around you as possible and magic ensues. This process can’t be counted, tallied up or ‘organized.’ It must be experienced. Just like baseball for the traditionalists. Did that sound like criticism? It’s not meant that way. The creation of moments that demand a high personal investment but grant participants a meaningful conversion experience is the specialty of this tradition. They did it in Seattle in 1999 – remember Teamsters and Turtles? The direct action enviros do it all the time. This is the strength and contribution of the Zuccatti Park occupation. They’ve created a moment of truth in the heart of the capitalist spectacle. As Matt Stoler wrote, a church not a protest. By organizing folks in my circles mean a process of recruitment, leadership development, and exercise of power that is accountable to a defined community. This is the working definition used by unions, community organizing groups like the former ACORN, and even a certain 2008 presidential election campaign. A close cousin might be called ‘coalition organizing’ that begins and often ends with groups standing together on a certain issue to maximize their impact on the political class. A great example is the New Bottom Line campaign. Organizing places a great deal of stress of planning and accountability. How many doors knocked? How many petition signatures? Which organizations have signed on? Who are the community leaders involved? Much of it involves organizing people in structures that already exist and enjoy community support, such as churches and civic groups. This kind of organizing assumes that large numbers of people linked by authentic networks of deep relationship can overcome the advantages of money in political struggles. Winning isn’t the result of magical experiences leading to a crescendo, it’s the result of master organizers using enhanced voter files, membership databases, conversion rate metrics and the scanning of walk lists. Organizers will often ask ‘who is on board?’ while planning the start of a campaign. This question covers issues of racial and gender diversity among the leaders and supporters, but also seeks to maximize the chances for victory. If some group out there could be helpful, and they haven’t been properly courted, their absence down the road could result in a preventable loss. So you have to do your homework. A colleague from a major NYC union called me to discuss how best to support them. But his initial take was quite mixed– the absence of a coherent strategy made it hard to negotiate specific forms of aid, which is often how unions conceive of their ability to help. Later, this union decided to jump in with both feet; but they still don’t have a handle on ‘the plan.’ There is no plan. That’s why we can’t call it organizing. The folks with plans have now jumped into the fray with both feet, as will be seen on October 5th. But whatever it is, the impact is beyond question. With some meager hundreds of occupationistas, helped along by NYPD stupidity, the occupation of Wall Street is now a front page national issue. To a certain extent, the issues they raise are trailing behind. Issues like the culpability of Wall Street in our current mess, a millionaire’s tax, taxing financial transactions, reregulating Wall St., creating jobs, and addressing the foreclosure crisis. Right now, some very different actors are coming together with public expressions of love and support. The street theater anarchists look at labor and think, ‘yes, we’ve prodded the behemoth to stir!’ The grizzled organizer types look at live video of the general assemblies and think ‘we can use this to generate concrete political victories like extending a millionaire’s tax in New York State!’ Truly, a May-December romance if there ever was one. Now we observe the groups from column A build their lists off the energy produced by the doe eyed campers from column B. Thanks Wall Street occupiers! At some point – next week, next month or next year – this romance will come under strain. Street theater won’t spark a revolution. Instead, transactional politics will rear its compromising head, following the lead of groups that are accountable to members who would rather have real victories sooner (2012) rather than socialism later. See you at the ballot box folks – don’t forget to pick up your trash. When the pivot happens, it won’t look like a struggle full of lighting and thunder. It will be more like an elephant shrugging off a monkey. In the end, whether you are feel more comfortable with old school or new school organizing will be irrelevant. It’s whether or not you do organizing that matters, and all the websites, livestreams and video in the world won’t make up for not doing it. It’s Moneyball baby, not baseball. Pity the self-sacrificing occupationistas who don’t know this yet. I love you and wish you actually wanted to organize. *Please don’t interpret anything above as a knee jerk rejection of white left activism. God forbid. And yes, there is some diversity. Funny how so many whites are actually fearful of simply recognizing their leadership and impact, as if the absence of people of color in multiple + visible leadership roles render their efforts pointless. That just ain’t so. It’s more complicated than that.